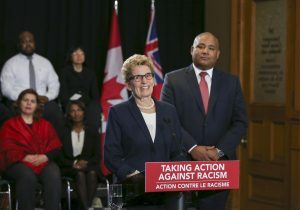 In February 2016, the Government of Ontario established The Anti-Racism Directorate to increase public education and awareness of racism and apply an anti-racism perspective in developing, implementing and evaluating government policies, programs and services (see more here). In July 2016, Michael Coteau, Minister Responsible for Anti-Racism, launched community consultations across the province to engage with the public and organizations on addressing systemic racism and eliminating barriers for Indigenous and racialized communities. The objective of these meetings is to help further public dialogue, receive input on the Anti-Racism Directorate’s mandate, and identify priority areas for the Directorate as it applies an anti-racism perspective to government policies, programs and services. On Saturday December 3, 2016 the Directorate will be here in Ottawa to host the last of 10 consultations (see previous venues here). 4 – What would a public awareness campaign on anti racism look like in today’s day and age. We plan to attend and participate and we encourage you to also attend. Please share these event details with all those who would be interested in having their voice heard.